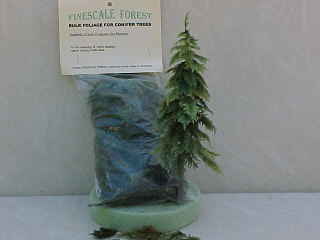 Designed to help the model maker create extraordinarily realistic evergreen trees and ground cover plants. The kits and foliage use real miniature plants which have been preserved and dyed with a nontoxic process. The plants remain soft and lifelike but are surprisingly tough and durable.